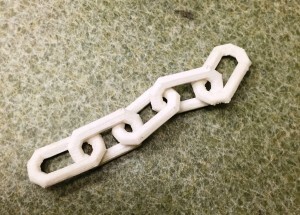 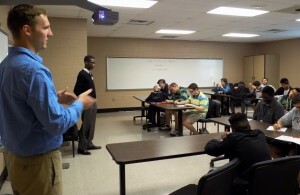 Milton Howard, Project Lead the Way engineering instructor at Garrett Academy of Technology, shared these terrific pictures of his students working with volunteers from Boeing South Carolina on an activity called The Marshmallow Challenge. This highly engaging & timed activity had teams of students constructing towers out of dry spaghetti, string, tape, and other basic materials that would support a large marshmallow on top. 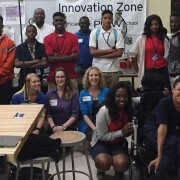 The competition to see who could build the highest tower within the time limit allowed for healthy interaction between students and the professionals from Boeing. 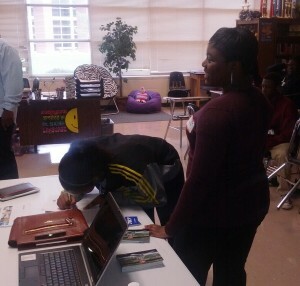 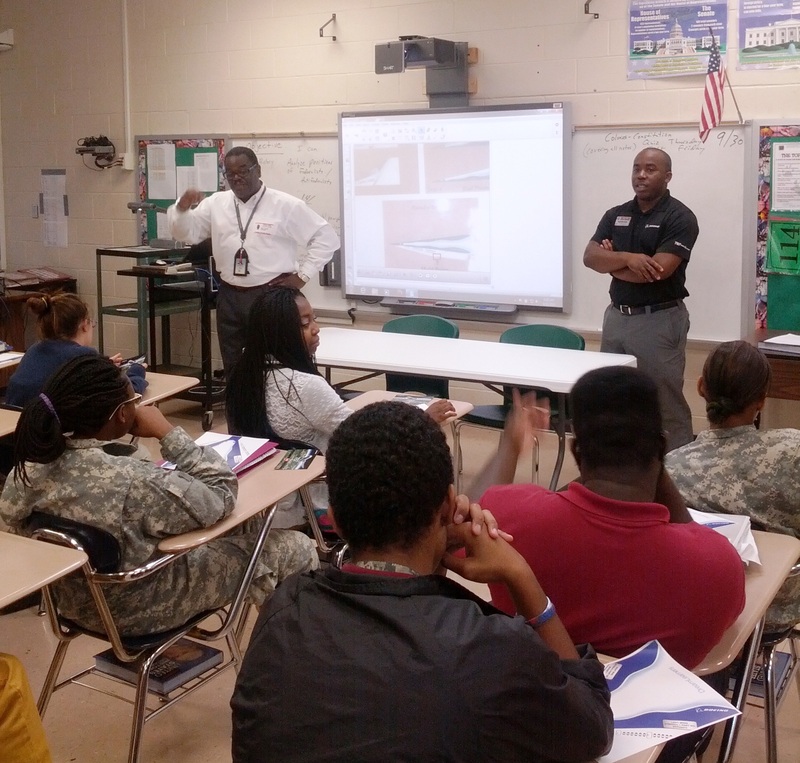 It also provided valuable lessons in teamwork and leadership on projects . 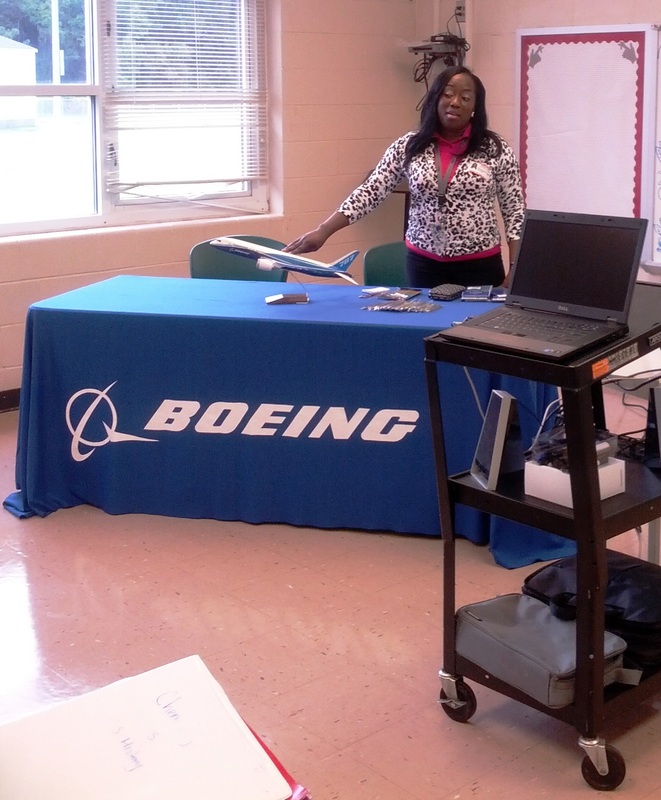 At the end, a healthy debriefing session allowed input from students, teachers and Boeing SC volunteers and the winning team was celebrated for their success. “We are so thankful for the investment of time and talent the Boeing SC team members brought to our classroom today!” said Mr. Howard. 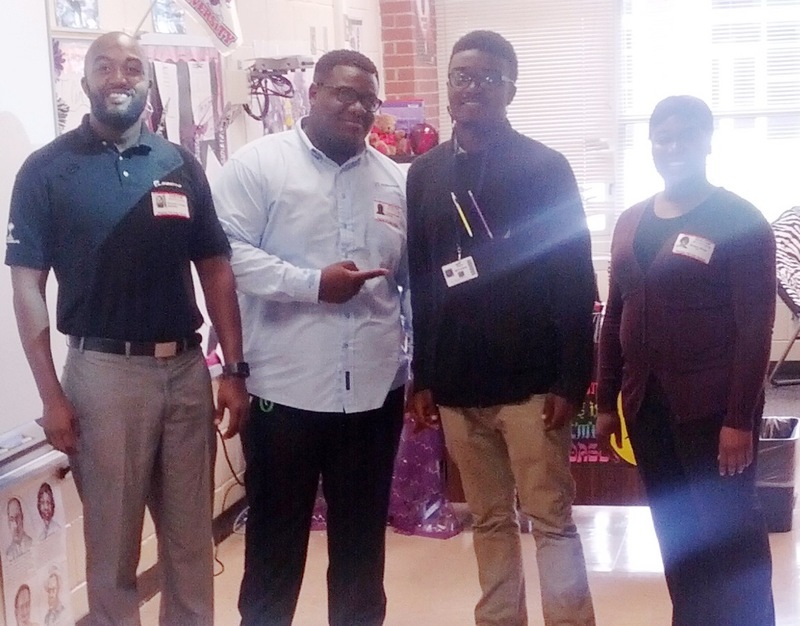 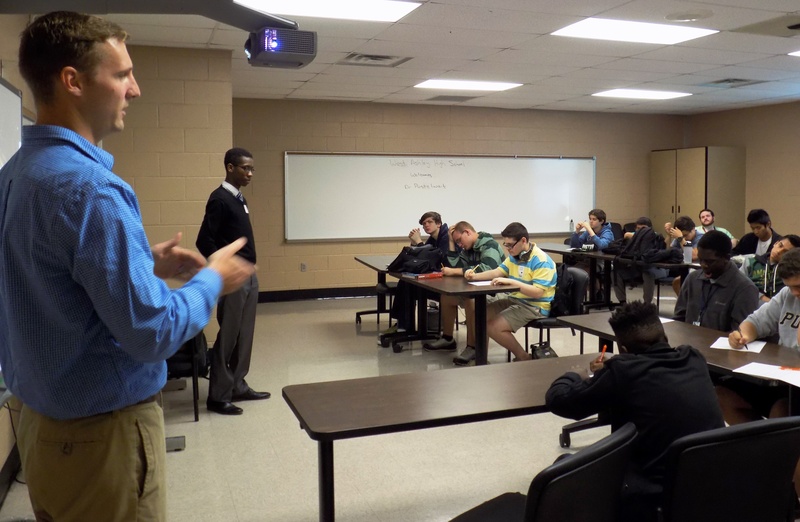 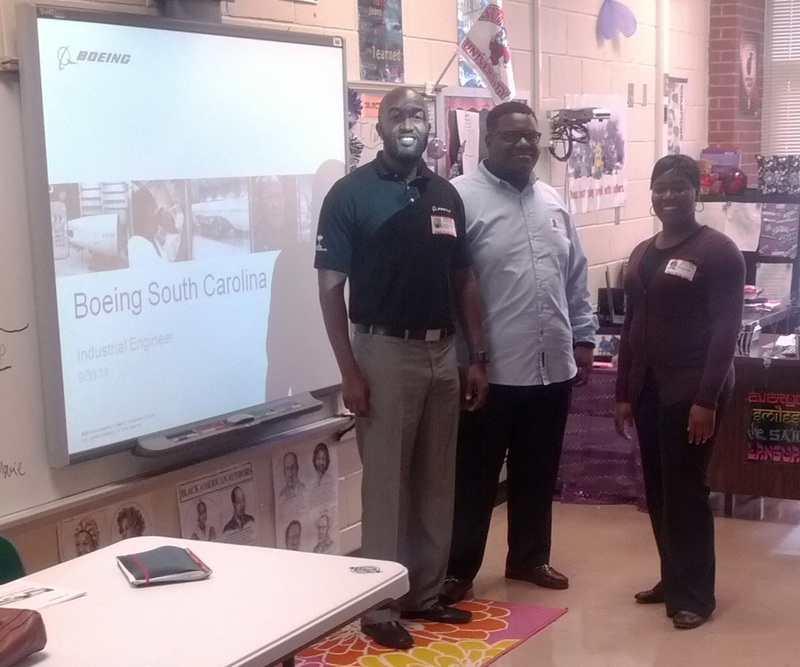 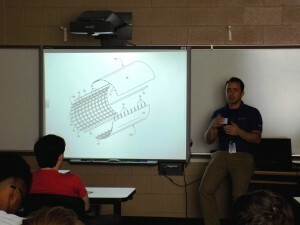 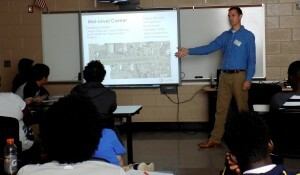 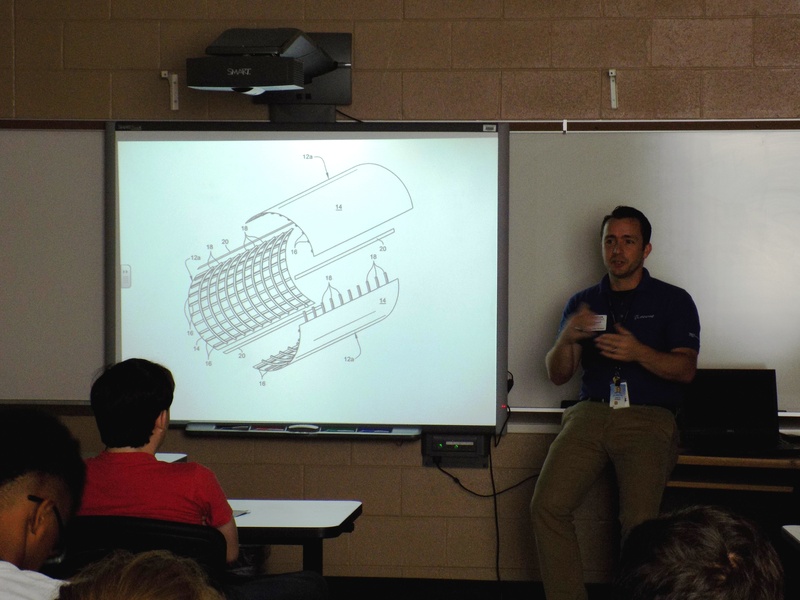 “Special thanks to Mr. Frank Hatten, Boeing SC Education Relations Specialist for his leadership – my students will never forget this experience”, Mr. Howard added. 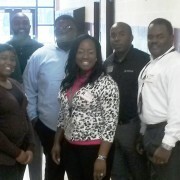 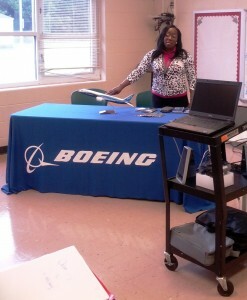 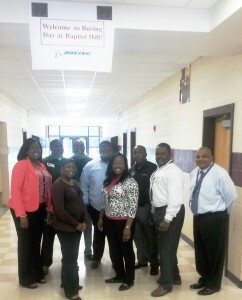 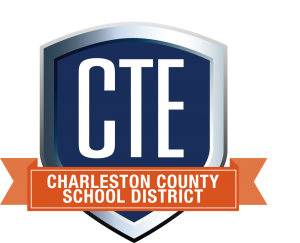 Charleston County School District truly appreciates all the support the local Boeing SC team provides!